Make multiple international payments in one go with ease. Pay recurring invoices or run payroll with the real exchange rate using the batch payments tool. Save time on admin work. Handle up to 1,000 payments with a click of a button. No need to manually pay out to all your vendors or employees. Fill out one spreadsheet with the details for every payment you want to make. Then make one transfer to cover the entire batch. We make sure everyone gets the right amount in the right currency. Get the same price and speed as a regular transfer. There’s no surcharge to use the batch payments tool. You get the same real exchange rate and low, fair fee. And it works everywhere TransferWise does. 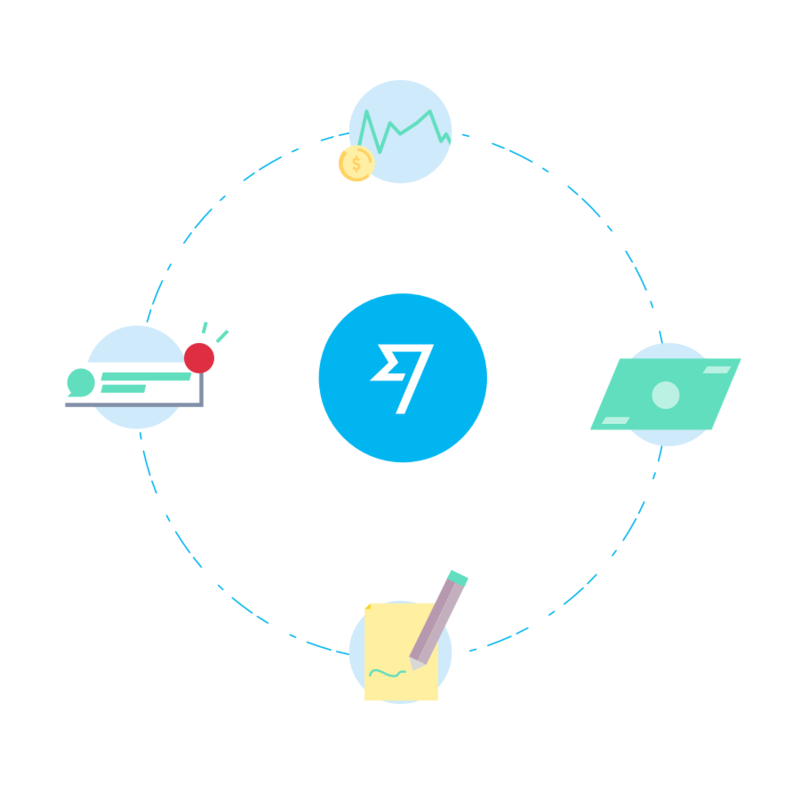 Take it one step further with the TransferWise API. Want to streamline even further? 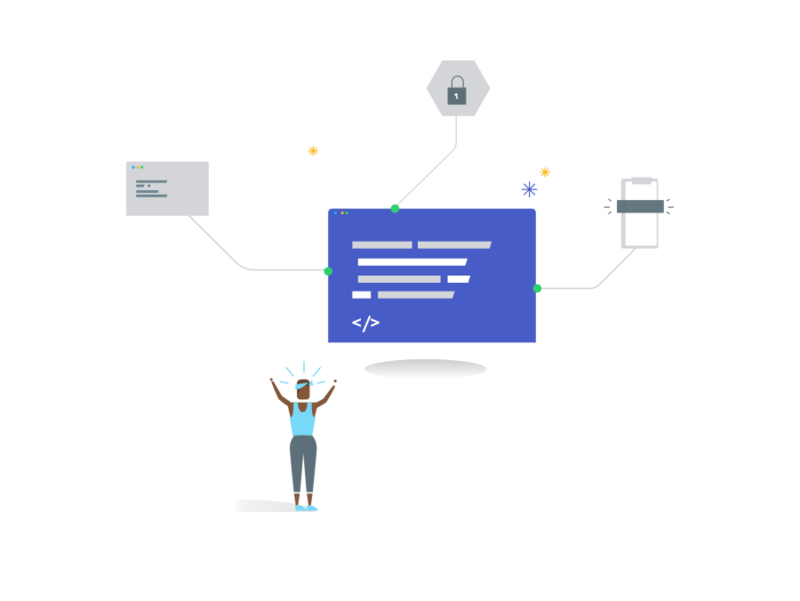 Now you can access our powerful API to automate payments, connect business tools, and create beautiful ways to manage your finances. The features your business loves. 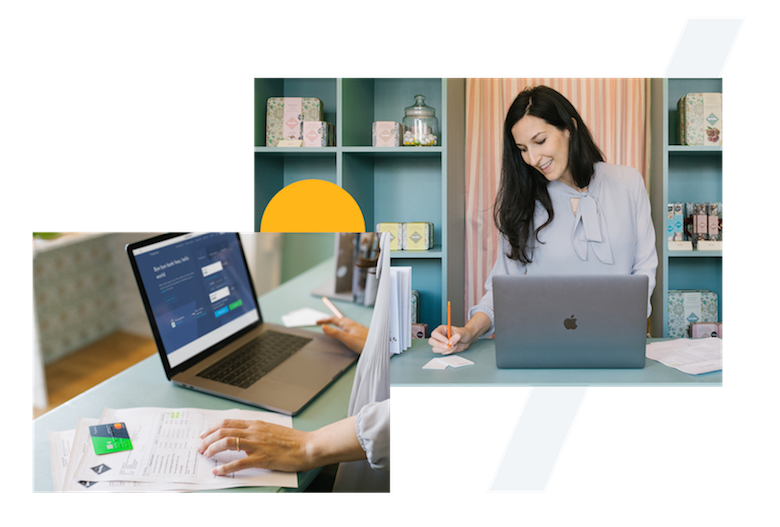 Connect with Xero and your favourite accounting tools. Spend around the world with no hidden fees. Hold money in 40+ currencies for free. Download statements for every balance you hold. What is a batch payment? The batch payment tool allows you to create and send multiple payments in one go by simply uploading a file. You can then make a single transfer to cover all payments. Some may call a batch payment a bulk payment, mass payout, or mass payment. 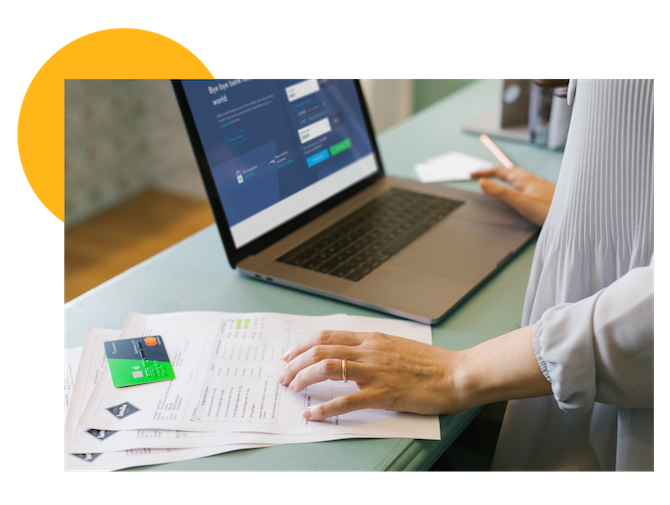 Batch payments are the perfect solution for businesses that need to make a large number of payouts to their customers, freelancers, employees, investors, or suppliers around the world. The main benefit of using the batch payment tool is being able to create up to 1,000 transfers with a single .CSV file rather than setting up one transfer at a time. How do I create a batch payment? It’s easy to create a batch payment. You'll need to set up a TransferWise for Business account first. On your activity page, click Batch payments. Download a batch payment template file. Open the template file in a spreadsheet editor and fill in your transfer details. Save your file as a .CSV (it should have .csv at the end) and upload the file on your account. Review the transfers in your batch. Track your transfers in real time on your account. 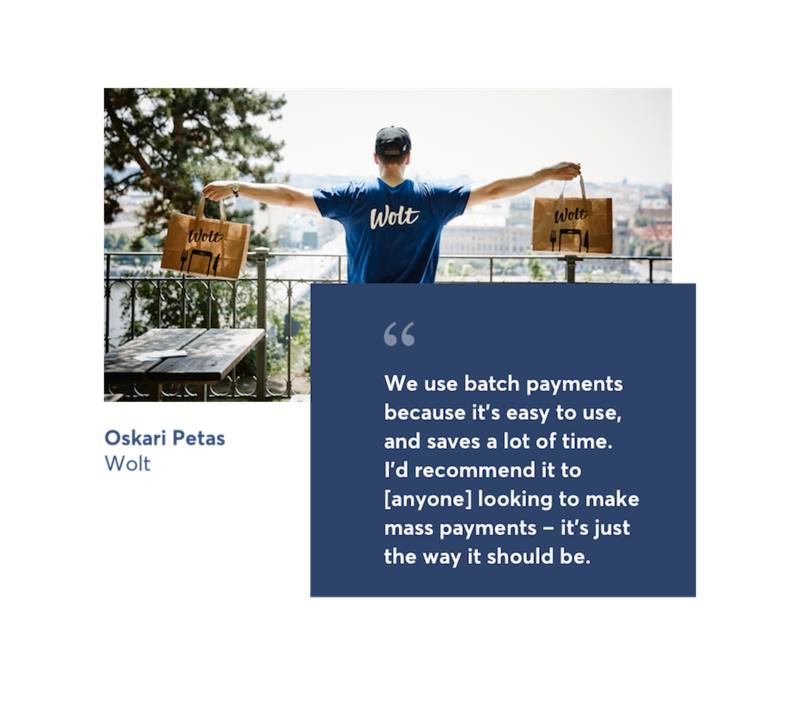 How do I sign up for the batch payments webinar? How much does it cost to open a TransferWise for Business account? It's free to set up your TransferWise for Business account. It's free to get international bank details and free to receive money using your bank details. There's a cheap, transparent fee to convert between currencies — either in your account or if you spend on your TransferWise Business Mastercard® in a currency you don't have in your account. When you convert money in your account it's always with the real exchange rate, and you always see our low, transparent fee up front so there's never any surprises. And if you spend on your Business Mastercard in a currency you don't have, it auto converts the balance with the lowest fee, so you never have to worry. There's no surcharge to use the batch payments tool. It works everywhere that TransferWise does — at the same price and speed as our individual transfers.